This helped to change the direction of that student’s life. This conversation helped plant the macro social work seed in the heart of the Garland School of Social Work’s 2018 Alumna of the Year, Dana Smith, and that seed has only grown and flourished for nearly 15 years! 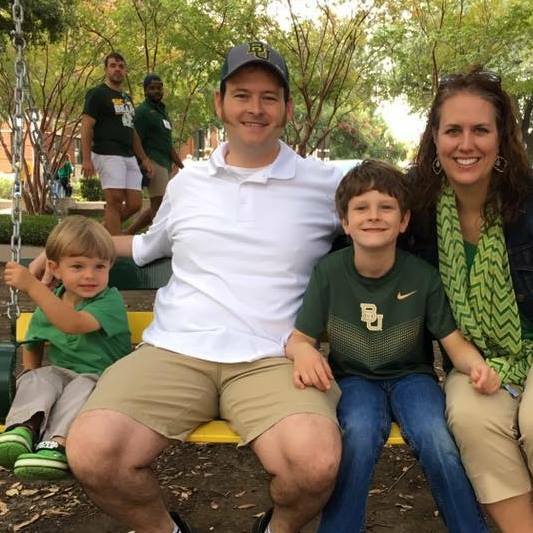 Originally from Missouri, Smith is a two-time graduate of Baylor University. She earned BSW in 2004 and her MSW in 2005. She came to Baylor knowing she wanted to be part of a helping profession, thinking she would major in education and work with ESL students, but true ESL programs, the kind she wanted to be a part of, were hard to come by at that time. She felt as though she was not where she needed to be. Then someone pointed her toward an Introduction to Social Work class, and like so many have said before her, it felt like home. She knew she had found where God wanted her to be. This class served as her lightbulb moment when she realized how many more kids she could help doing this type of work…she also learned how, “social work could fulfill that desire to volunteer and minister appropriately” by helping her understand the whole person, the whole child. And she has been helping vulnerable children all over Texas and across the country ever since. Smith, an active member of the National Association of Social Workers, has spent nearly her entire career advocating for systemic change that positively affects the lives of children and families. She works diligently to empower children to shape their future through education. Upon graduation in 2005, Smith found Communities In Schools, an agency working directly in 2,300 schools in 25 states and the District of Columbia…building relationships that empower students to stay in school and succeed in life. When she first applied, she knew she didn’t want an administrative job. She wanted to be a hands-on site coordinator at a school campus. So, that’s what she did for several years at Communities In Schools of North Texas, personally working with 90 students each school year, in the beginning. She continued to work for CIS North Texas in a number of capacities: Parent Educator, Director of Community Investments and Volunteerism, Director of Program Research and Grant Development and eventually Chief Executive Officer serving more than 147,000 students. While serving as CEO at CIS of North Texas, Smith wrote and submitted more than 40 grants, with a 97% award rate and was successful in expanding programs across six additional school districts resulting in 29 additional programs serving 400% more students. Then in 2016, after five years as CEO, Dana was recruited into the CIS National Office in Washington D.C. as the Director of Organizational Development. Through the national office, she now provides support for organizations serving over half a million students…and with her love of macro, she feels like it’s the perfect place to be! Smith recently heard Rham Emanuel (the mayor of Chicago and former Chief of Staff for President Obama) speak at a conference in Washington, D.C. He said something she has been preaching her entire career, and it is this: “For children to live up to their full potential, adults have to own their full responsibility.” Yes!! Yes, she said, this is what we need in society. In general, children are born into families and their circumstances. They do not have a choice about where or how they live. Smith, an active member of the National Association of Social Workers, has spent nearly her entire career advocating for systemic change that positively affects the lives of children and families. She works diligently to empower children to shape their future through education. She contends that we need more social workers out there who can help adults be capable of taking on their full responsibilities and can help children without a capable adult reach their full potential. Every day Smith works tirelessly to make a difference in the lives of those she serves, whether it be a student or the staff serving that student five states away. She is a firm believer that if you make a difference in one person’s life, there are tidal waves that can come from it. 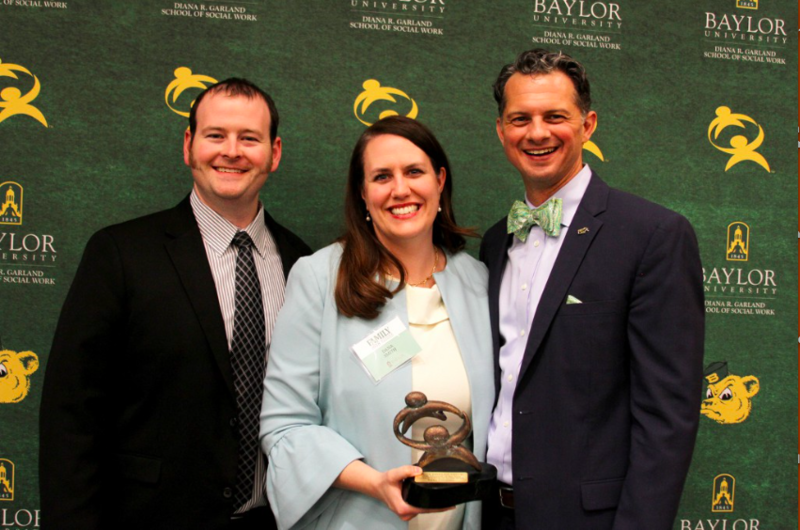 Dana Smith is an exceptional example of what it means to be the Garland School of Social Work’s Alumna of the Year.